Today is a bit dreary. Actually, it’s a lot dreary. But it’s the kind of dreary that we need. The rain is gentle and steady, and is going to be followed by warm sunshine. Together, they will make magic. The green of the grass will brighten. The roots of our recent vegetable transplants will stretch into their new soil home. The cool-loving lettuce and peas will explode with growth. It is a good dreary. A dreary that inspires me to bake. I’ve had recipes in the past that have called for instant espresso powder, but I’d never found it in stores, so I always substituted regular instant coffee powder. Never again. I found some of this granulated magic on sale a few weeks ago and bought two jars, just in case it was a clearance thing and I couldn’t find it again for a while. And today it made its way into yet another spin on my standard chocolate chip cookies. Along with my much loved Camino bittersweet chocolate chips (I swear, they’re not sponsoring me in any way). We love mocha. Even the kids do. They’ve always loved coffee, and have been known to enjoy a small mug of it (heavy with milk and a little sugar). 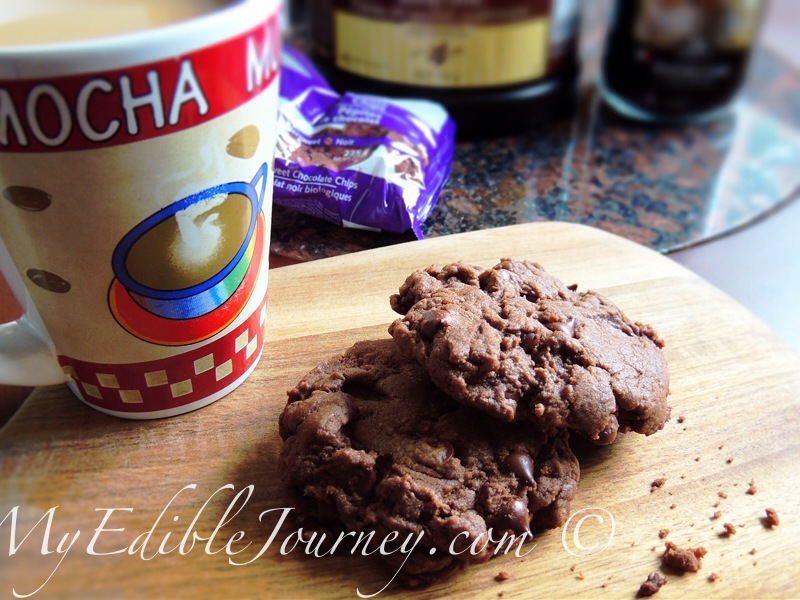 Needless to say, mocha cookies are a favourite here. 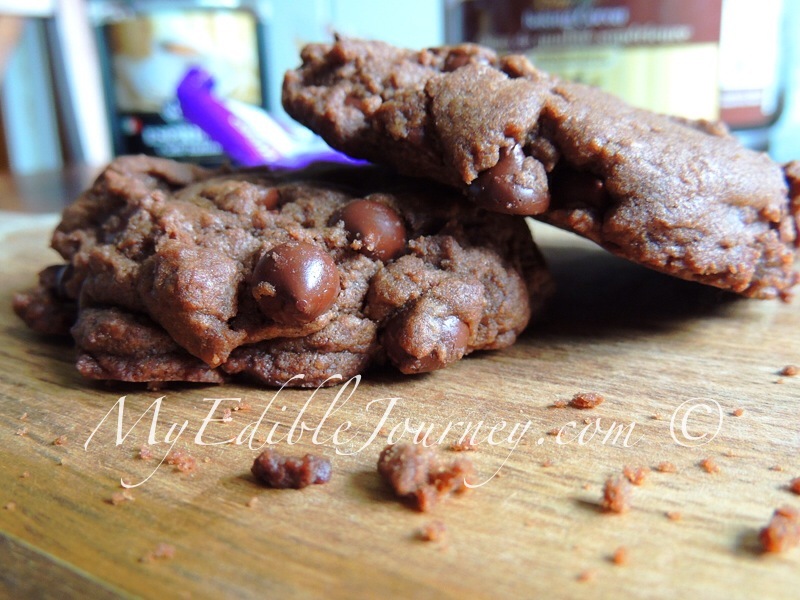 For us to say that these are “the best” mocha cookies we’ve had is saying something. But they are. They are dense and rich and the espresso powder brings a depth of flavour far beyond the one dimensional java bitterness of instant coffee. If the combination of coffee and chocolate makes you happy, you have to try these. Cream together the butter and sugar. Scrape down the sides of the bowl and beat in the egg and espresso until fluffy. Add the remaining ingredients, taking care to not overmix the dough. Drop by generous tablespoons onto a parchment lined baking sheet. Bake for 15 minutes. Let them sit on the cookie sheet to set up for a few minutes before transferring to a rack to cool. It goes without saying that these are AWESOME while still warm and gooey. 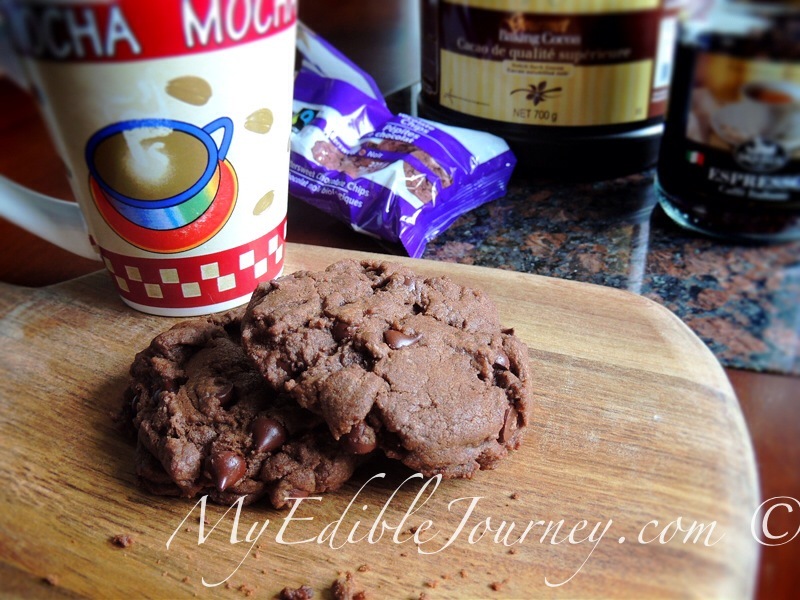 This entry was posted in Chocolate, Cookies, Desserts and tagged chip, chocolate, cookie, dessert, mocha on May 28, 2013 by Mama B.